Travel anywhere in the world, and you’ll probably run across a Jeep. And if you don’t, you’ll find a vehicle that has been influenced by the Jeep. The history of the brand is rich, and the worldwide following is enormous. And yet, somehow, there’s no proper museum for the World War II hero. It makes no sense. But it’s not just the U.S. and the Czech Republic that love old Jeeps; France’s military built modified World War II Jeeps under license (called “Le Jeep,” or more officially Hotchkiss M201s), so it’s not that uncommon see old flat-fenders all over the place over there. Ditto with Japan, as the U.S. army left a veritable junkyard worth of old Willys Jeeps on the island nation, and Mitsubishi even built its own version (the J54) under contract. 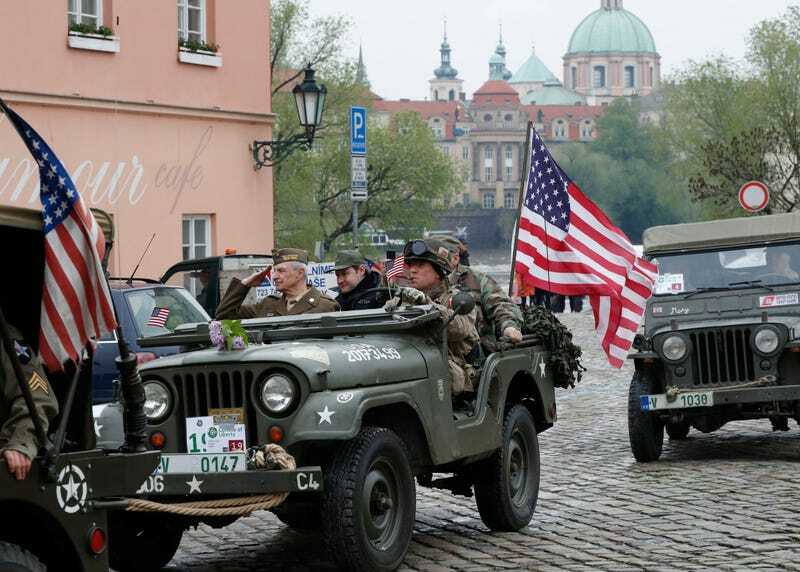 My point here, is that the World War II Jeep—which spawned the off-road SUV segment as we know it—is one of the most recognized and most influential vehicles in history, with fans on every corner of the globe. And yet, somehow, there isn’t a proper Jeep museum anywhere to be found. There’s an Oldsmobile Museum in Lansing, huge Mercedes and Porsche museums in Stuttgart, a BMW museum in Munich, an Audi museum in Ingolstadt, a Volkswagen museum in Wolfsburg, a Studebaker museum in South Bend, a Corvette museum in Bowling Green, an Auburn/Cord/Deusenberg Museum in Auburn, and pretty much every Japanese automaker has an awesome, open-to-the-public collection in Japan. And yet a brand with one of the richest histories, and one of the widest cult followings has no museum. OK, to be sure, Omix-ADA—an aftermarket Jeep parts supplier—does have a nice collection near Atlanta, but not only is it fairly small, but it doesn’t really include a whole ton of historical information and memorabilia to do the ol’ Jeep justice. Plus, let’s be honest: the proper location for a Jeep museum is Toledo, Ohio. It’s where Willys-Overland built the World War II MB back in the early 1940s, and it’s where every proper Jeep has been built since (with the exception of the Grand Cherokee and early first-gen Wrangler YJ models). When I attended the Toledo Jeep Fest last year, I could see how proud the locals were of the off-roaders they’ve been building for the past 75 years. The place deserves a Jeep museum; if done properly, I think people would come from far and wide to see it. There have been whispers here and there of a Jeep museum actually being built, but time and time again, it seems the plans get abandoned. I’d think getting the vehicles wouldn’t be so difficult; a number of old-timers are probably sitting on amazing Jeep collections that they don’t want to have to hand down to their punky grandsons, and that they’d much rather donate. Who knows, maybe someone’s run the numbers, and a Jeep museum—despite the brand’s worldwide cult following—is just not feasible for the same reasons why the Chrysler Museum folded a few months back, and why there’s no GM museum open to the public. But damn, if there’s a Corvette Museum in Bowling Green, why the heck isn’t there a Jeep Museum in Toledo?